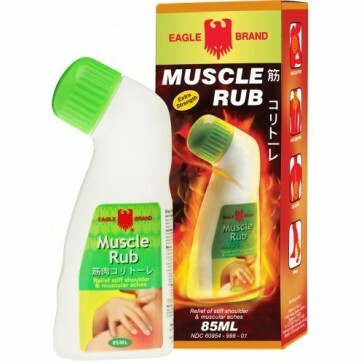 Eagle Brand Muscle Rub, with its convenient applicator, is used for the temporary relief of minor aches and pains of muscles and joints associated with backache, arthritis, strains and sprains. Licenced & registered for Australian distribution - AUST L 188997. Ingredients: Methyl Salicylate 40% Menthol 12.5% Camphor 12.5% For external use only.